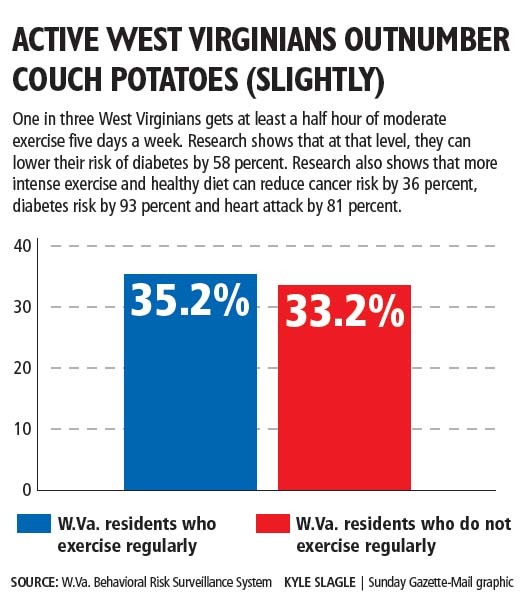 Couch potatoes cost West Virginians millions every year, West Virginia University School of Medicine professor George Kelley concluded in 2009. He examined medical costs, workers compensation payouts and lost productivity figures, then compared them with federal Centers for Disease Control figures of inactive West Virginians. Kelley calculated that, for each 1 percent of West Virginia adults who do not exercise, compared to those who do, there is an extra $4 million in medical bills, plus another $17 million lost in worker productivity. Part of the medical bills are paid by insurance companies, part by the state, some by individuals. In West Virginia, 1 percent of adults is about 14,100 people. The CDC defines an active person as one who exercises moderately (walking, etc.) for 30 minutes at least three times a week. “I’m surprised by the size of his figures, but not by the idea that physical activity prevents disease and therefore saves money,” said House of Delegates Health and Human Resources Chairman Don Perdue. 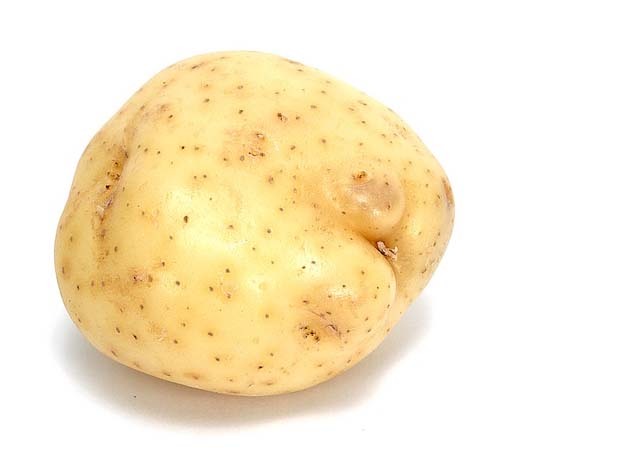 “Think what we could save if 5 percent started exercising. In 2005, 61 percent of West Virginia adults were not physically active by CDC definition. By 2009, that number was 64 percent. The West Virginia Medical Journal published Kelley’s article “Costs of Physical Inactivity in West Virginia” in the May-June 2009 issue. This entry was posted in Stories that illustrate research and tagged Stories that illustrate research. Bookmark the permalink.